"Someday I'll return/To where your stolen body burned," frontman Simon Petty promises the phantom of fallen Byrd Gram Parsons on "Badlands," the eighth track on Minibar's sophomore disc--and it's a pledge that his band has fulfilled both literally and metaphorically. 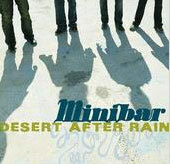 Defecting from their native England to stake their claim in Southern California, Minibar--like those other U.K.-bred Americana-philes, Teenage Fanclub--have not only adopted Gram's turf as their own, but they've recreated the Death Valley/Topanga Canyon country-rock sound with such loving attention to detail, they ought to be granted U.S. citizenship on the basis of this album alone. While Fly Below The Radar suffers somewhat from its consistently languid, laid-back tempos (all that California heat must be making these salt-of-the-earth Brits a bit lazy), when Minibar kick it up a notch on hearty, thigh-slapping rockers like "Somebody Down Here Loves You" and the title track--songs that hint at the vigor and power that the band exhibits onstage--it's clear that these transplants, whose 2001 debut for Universal Records was criminally overlooked both here and abroad, have been flying below the radar for way too long.